Missed the chance to go to the EB Expo on the weekend? Maybe you did go but are keen to hear someone else’s impressions? 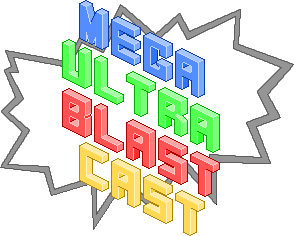 Fear not – the Mega Ultra Blast Cast breaks down the whole show with opinions and arguments and such, just for your benefit. Shane is our sounding board as Delaney and I discuss our favourite games of the show, the things that surprised us, the best cosplays we saw and the most in-depth Titanfall demo breakdown you’ve ever heard. At 2:20 it’s the longest podcast we’ve done since our first one, but you can read the description on Soundcloud and click the timestamps to go to the section you are interested in. If you feel so inclined, go for a run, take a scenic drive or just curl up on the couch and listen to the opinions of two excited Sydneysiders and one jealous guy. As always if you enjoy what you hear please share the cast with your friends and like our Facebook page. Cheers!